I consider myself a planner, a cyclist and an advocate (and the order is in constant flux!). I prefer getting around on two wheels or my two feet, as I find it to be the most enjoyable way to experience the communities where I live, work and visit. In practice, I have the privilege of sharing the joys of walking and biking with the communities I work with. I take great pride in connecting the traditions of human-scaled design with innovation and technology to make cities places of opportunity, good health and fulfillment. The focus with all of my work is to create places at the right scale, that are connected to human needs and experience, and that give more people a reason to walk and bike more often. 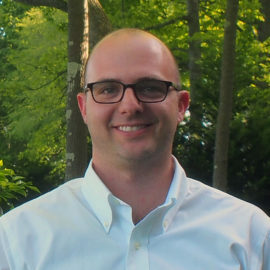 Brad’s leadership with urban mobility and city design has benefited from his planning experience in the public and private sectors, having worked at the regional level for the Atlanta Regional Commission and at the local level with the City of Atlanta Department of Planning. Now, as one of Alta’s experts in navigating the challenges of placemaking and change management, Brad is committed to building healthier communities through better policy, design, and implementation. He is currently a Senior Associate with Alta and manages the firm’s West Palm Beach, FL, office.